Courtesy Jeffco Schools. Used with permission. Next week, Jeffco Schools families will use a new online enrollment system: EnrollJeffco, a district-wide school search tool and online enrollment system. 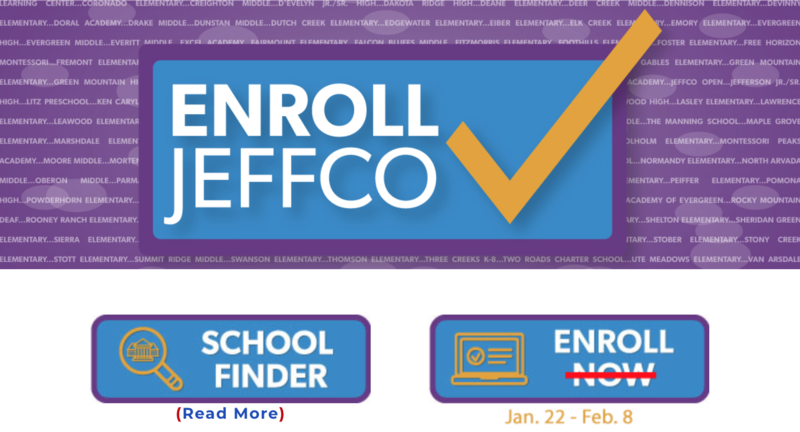 Beginning Jan. 22, all current and incoming Jeffco Schools students and families will use EnrollJeffco to register for the 2019-20 school year, whether remaining at their current school, choice enrolling, or registering at their neighborhood school. 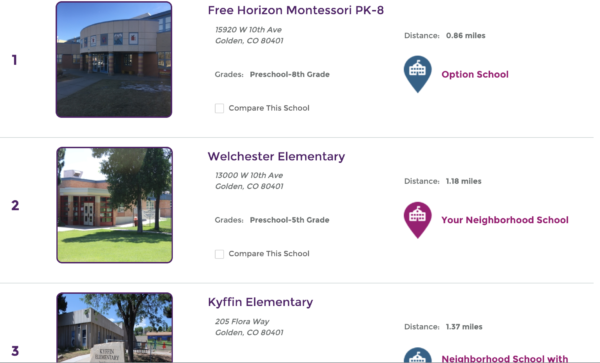 EnrollJeffco’s School Finder, which is currently available, is intended to be a one-stop source of information about Jeffco’s more than 155 schools. Students and families can use the School Finder search feature to locate schools through a variety of ways. Families can search using their home address, school name, and grade levels. 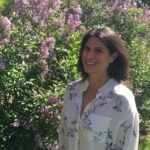 Searches can also be filtered by selecting special interests or needs, such as dual language programs, autism spectrum disorder program, Montessori, International Baccalaureate, STEM, and much more. This is what an address search looks like in EnrollJeffco. The Jeffco Education Center building’s address was used for this search. Under the map, schools are shown in order of distance. In this case, they are shown in proximity to the Jeffco Education Center building. 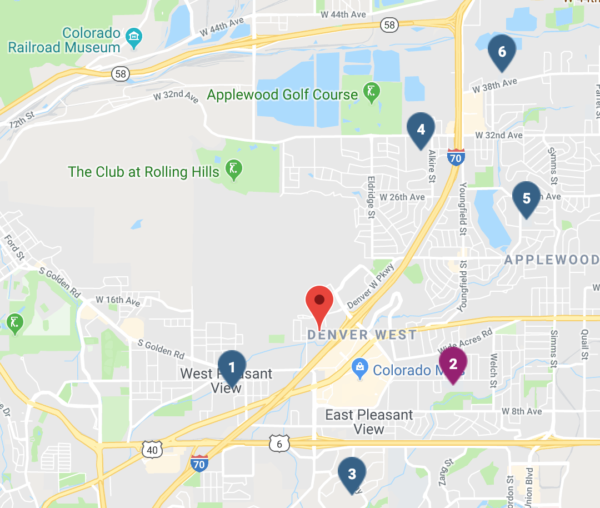 Families interested in simply finding the schools closest to their home and choose the option, “we’re not seeking any specific academic programming, just a good school,” and school options will be listed in order of their distance from the address. School options can also be sorted by name. The designation “Your Neighborhood School” indicates the school a student is assigned to as their neighborhood school. Other school options are listed as Neighborhood School, Charter School, or Options School. The “Help Me Find A School” tool guides students and families through a series of prompts, beginning with grade and home address, and asking families which academic programs their student is interested in to produce a list of potential school options. Enroll Jeffco also will serve as the district’s new online enrollment portal to streamline the enrollment and registration process. While the school search feature is currently live, students and families will be able to use the system to register and enroll beginning on Jan. 22. Those who plan to choice enroll have until Feb. 8 to submit their applications for the first round of choice enrollment. Jeffco Schools has also produced a video about how to use EnrollJeffco, sent out emails and phone call messages to current families to inform and educate the community on the new system. Many schools are also hosting Interest Nights through January and February for prospective families. Information about Interest Nights at specific schools is located near the end of each school’s profile in EnrollJeffco. A list of interest nights can be found on the Jeffco Schools website.